There's been a forum thread running on the December issue of Stamp Magazine, so I thought I'd better have another read and see what grabbed me most. And the winner is: (drum roll) John Gledhill's Overprint Overload feature. 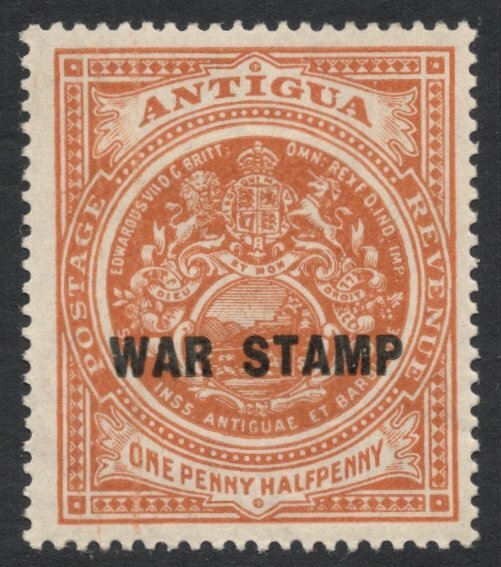 He makes a very valid point that by collecting overprints it's often easier to distinguish types of the unoverprinted stamps, with regard to shades, printers or papers, for example. 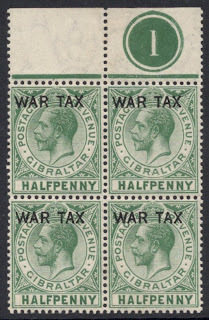 For him it led to this collection of overprints on GB stamps (and related material). 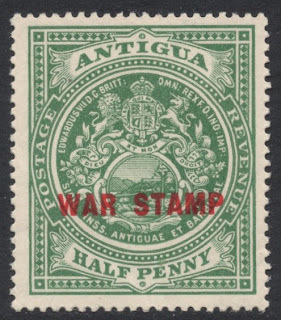 For me, his feature rekindled my desire to build up a worldwide overprint collection. Not so much to be able to tell apart various types of stamps, but just because they give a fascinating insight into a country's history. Think of all the occupation issues, the protectorate issues, the mandate issues, currency changes, deposed heads of state, charity surcharges for disasters, the list is endless. You could even include a sub-collection of forged overprints which might well be larger than the real thing! 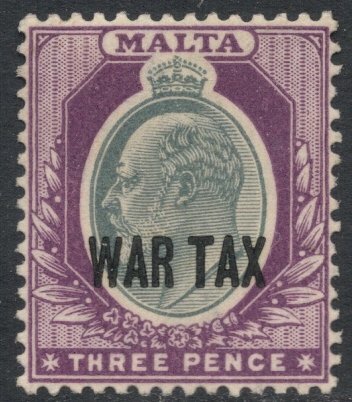 And when you've got all the basic overprinted stamps, how about expanding your collection to include flaws?! That'll keep you busy until the end of your days, I would say. Really gripping stuff. 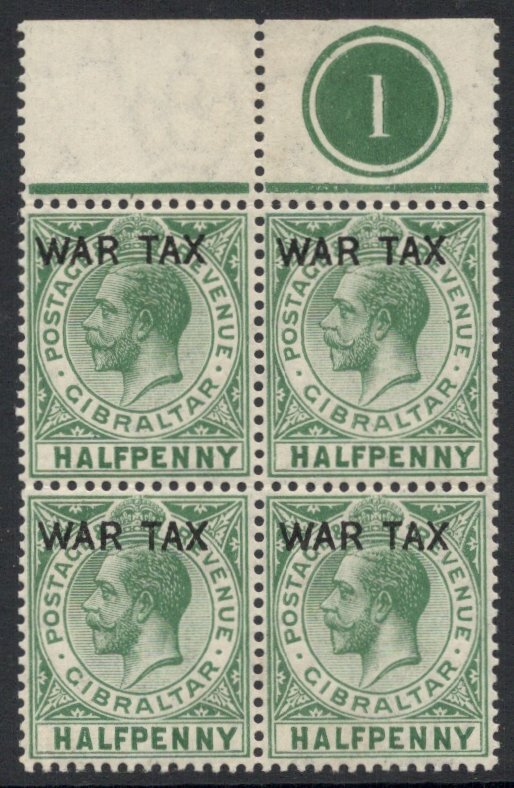 My latest overprinted stamps are from the large amount of War Tax issues of the British Empire. Nothing fancy, just the basic stuff, but nice anyway. I have a beautiful book on them, by John G.M. 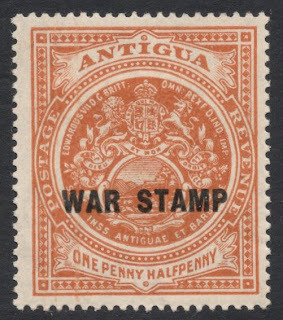 Davis, which deals with the War Tax issues in the West Indies. 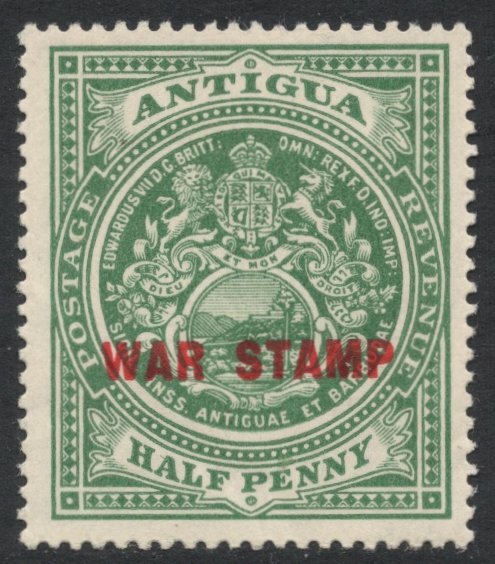 It's a good read, featuring all the stamps, the reasons why they were issued, the overprint varieties, the copies in the Royal Collection, and much more, all lavishly illustrated as well. In there I read that Antigua and Malta were the only colonies to use Edward VII stamps for their War Tax overprints, rather than the more obvious, because contemporary, George V issues. Now there's a bit of news to you! Well, it was to me anyway. So when I had to do a mini display for my local society the other day, I made sure I had at least these two colonies included, as well as a nice Gibraltar plate block.